As information technology has become pervasive, instances of digital crime and the need to use digital evidence in investigations have grown significantly. Digital forensics is now a major part of many criminal investigations; its tools are frequently used by local, state, and federal law enforcement agencies. The University of Illinois at Urbana-Champaign — recognized by the National Security Administration (NSA) as a Center of Academic Excellence in Information Assurance Education since 2000 — trains students to succeed in this field, which is expected to grow more than 20% by 2018. Illinois educators are developing a standard undergraduate curriculum, which will focus on evidence collection, evidence preservation, evidence presentation, and forensic preparation. Our digital forensics initiative contributes to the creation of resources and educational material, educational assessment, discussion among academia, industry and government and collaboration across different domains and departments, including Computer Science, Electrical and Computer Engineering, Law, Sociology, Criminal Justice, Psychology, Accounting, and Information Sciences. The goal is to improve the content and quality of educational programs, aiming to inspire the creation of new programs at other U.S. universities, and thereby increase the number of qualified workers. 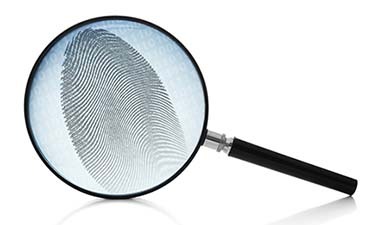 Curriculum materials for a first-semester course on Introduction to Digital Forensics and a second-semester course, Digital Forensics II, are now available for distribution. This material is based upon work supported by the National Science Foundation under Grant No. 1241773. Any opinions, findings, and conclusions or recommendations expressed in this material are those of the author(s) and do not necessarily reflect the views of the National Science Foundation.